for calibration and testing purposes. 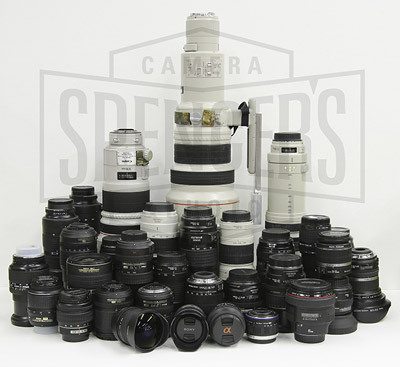 Spencer's Camera & Photo is not only the leading IR Conversion service provider; we are also a camera repair facility. 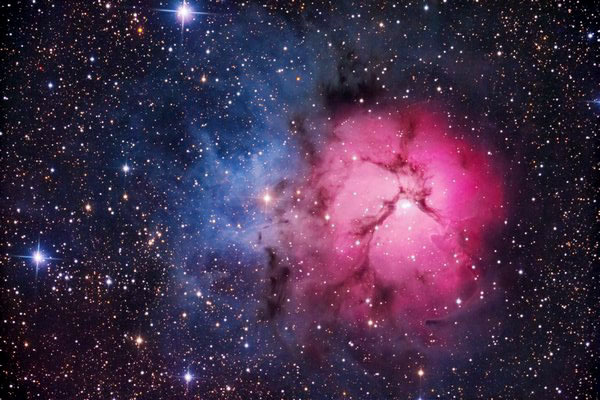 Since 2001 we have been trained in the latest techniques by most major camera manufacturers giving us the experience and knowledge to perform IR Conversions, Astro-Conversions, and camera repairs safely and accurately. We currently provide conversion and modification services for over 600 camera models. Our specific training and skills allow us to calibrate your camera for perfect focus and performance. We guarantee your camera will be serviced safely in a clean and antistatic environment, insuring proper and accurate performance after the Conversion or Repair service. Only the highest image quality polished glass and quartz material is used in our conversions unlike some of our competitors that use plastic filters. Plastic filters will result in distortion and soft focus in the final images. In fact, many of our customers have sent us cameras for repair that have been damaged by other IR Conversion providers leaving them with a non functioning camera. By sending your camera to Spencer's you can be confident you will receive a reliable, fully functioning camera. Spencer's Camera & Photo provides IR Conversion services for more camera models than any other provider. We can convert almost every digital camera on the market. We have many filter options to choose from, including the popular Black & White, three color IR filters (720nm, 665nm and 590nm) and Full Spectrum/Clear filters. Also, there is always the option to custom order any nanometer range filter to your liking. Not only do we provide more choices and the highest quality converison services we also provide new IR cameras and Astro-cameras converted to your specifications. If unsure which camera to convert or which filter to choose please contact us for a little advice and direction. Our experienced staff can help with your camera and/or filter choice. At Spencer's Camera & Photo we custom cut all IR filters specifically matching the size and density required for each camera model. Not only does this create better results than our competitors it eliminates the "middle man," reducing our costs, allowing us to pass the savings on to our customers. That's one reason why our pricing is lower than our competition. Every conversion and camera repair we perform is covered by our in house warranty. Also, we provide free advice and tips to our customers by our experienced staff. If you have any questions please contact us by email, text or phone and we'll help in any way we can. Spencer's Camera uses only the best and most advanced tools and techniques to perform the conversions. Great care is taken to insure your camera is handled in the highest quality and cleanest work room environment. All tools used are Antistatic ESD safe and the equipment is properly grounded for antistatic safety as well. Our technicians are professionaly trained giving the highest attention to maintaining accuracy during the IR conversion process and while calibrating your camera upon completion of the conversion. We use reliable and time proven methods and material to install the new filter in your camera including added measures to insure long term reliablity. We do not simply install the filter using double sticky tape and hope it will stay in place long enough for the warranty to run out. Yes, we have seen this from other converison providers. Spencer's Camera not only provides quality IR Conversion Services, we are also a Camera Repair Facility. This makes Spencer's Camera uniquely qualified to competently perform your camera conversion with great care and expertise. Also, this gives us a unique perspective and indepth understanding of camera functions and operations, allowing us to convert and calibrate your camera precisely and accurately. Also, we can repair your IR camera that was converted by other conversion providers. We have repaired many cameras that were converted by our competitors and were damaged during the conversion process or never perform correctly. All of our IR conversion and camera purchase customers receive free sensor cleaning service for the first year following your conversion service or camera purchase. Some camera repair facilities charge as much as $100.00 to clean a digital camera sensor. If we performed your conversion, or if you purchased your modified camera from us, we'll clean it for free. Simply send your camera to us and we will return it as soon as possible with a completely clean sensor. All you have to pay for is the return shipping. 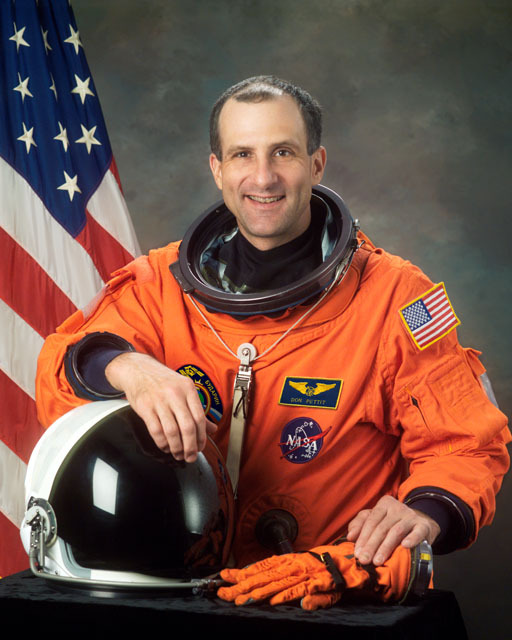 ISS Expedition 6 Crew Member; Space Shuttle STS-126 Crew Member; ISS Expedition 30 Crew member. 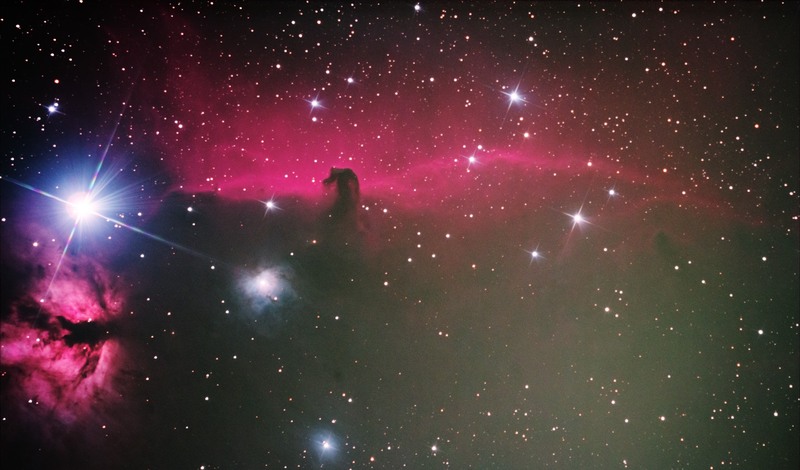 I called Canon to see if they could remove my filters in my camera (Canon T3I) to convert it to full spectrum for my astrophotography imaging. The representative said they did not do this type of work but referred me to Spencer's Camera and Photo as the only dealer that they would recommend. I called Spencer's and Clarence was amazing at explaining what he could do to make this happen for me. The turnaround was incredibly fast and the work performed was impeccable. Dealing with Clarence was very informative, he didn't just do the conversion and leave me to my own devices. He answered every question I have had in a way I could understand it, he has followed up with me since to see how things are still going for me. He actually cares about the work he does and about his customers being satisfied! My camera was converted full spectrum removing internal filters and replacing with quartz clear glass. I use this camera now as my main imaging camera for all of my astrophotography and could not be more pleased with the results I am getting from it! Scratched or damaged imaging sensor? Almost all digital cameras have a "Low Pass Filter" installed in front of the imaging sensor (The primary imaging sensor of a digital is the image capturing devise that "sees" or "captures" the image). The "LP" filter has more than one purpose. First, it blocks unwanted UV and IR light from reaching the imaging sensor, allowing the camera to render normal images of what the human eye can see. Secondly, the LP filter protects the imaging sensor from damage due to foreign material contamination or improper cleaning methods of the end user. If your imaging sensor has been scratched or damaged you will notice imperfections on the resulting images that cannot be cleaned or removed. Removing these imperfections during post processing (using Photoshop, Aperture, etc...) can be very annoying especially when editing large numbers of images. Spencer's Camera & Photo can replace the original LP filter, with an OEM manufacturer provided LP filter, returning the image quality of your camera back to perfect working order. Most camera manufacturers do not provide the LP filters separately from the imaging sensor, making a normal repair very expensive. For example, the primary imaging sensor (including the Low Pass Filter) for the Nikon D3s, purchased from Nikon is priced at $1,678.00 for the sensor alone. We carry the original OEM filter and will install it for much less, $500.00 including installation and calibration services. This is a savings of more than $1178.00 when you include the addition of installation charges from the manufacturer to install the new sensor. To start the Low Pass Filter replacement process or for more information please visit our LP Filter Replacement page.